A blender affair . . . .
After exporting obelisk shape from blender into rhino I scaled the object to the required size and proceeded to check the object for imperfections. I checked for open edges via the ‘dup boarder’, this traced curves around the open faces (see image far right below). I then inverted the selection and hid everything but the traced open edges (see image middle below). I then proceeded to ‘mesh patch’ each open face boarder. I joined and unified the new meshes, then unhide the ‘hid’ obelisk and joined and unified the original object to the new meshes. 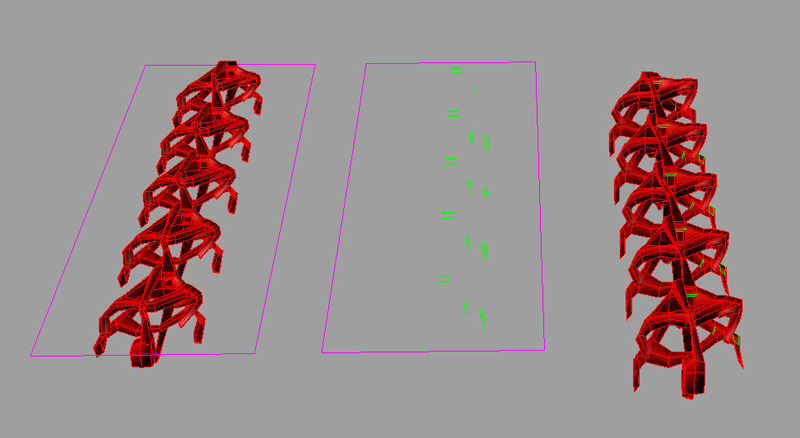 Finally using the ‘unify mesh normal’ I turned all faces around so they were facing the same way. Once the obelisk surface was fixed, I did some prototyping to see how ‘scale 1D’ changed the aesthetic of my original design. However I decided the original delicate version was the one I would continue with. 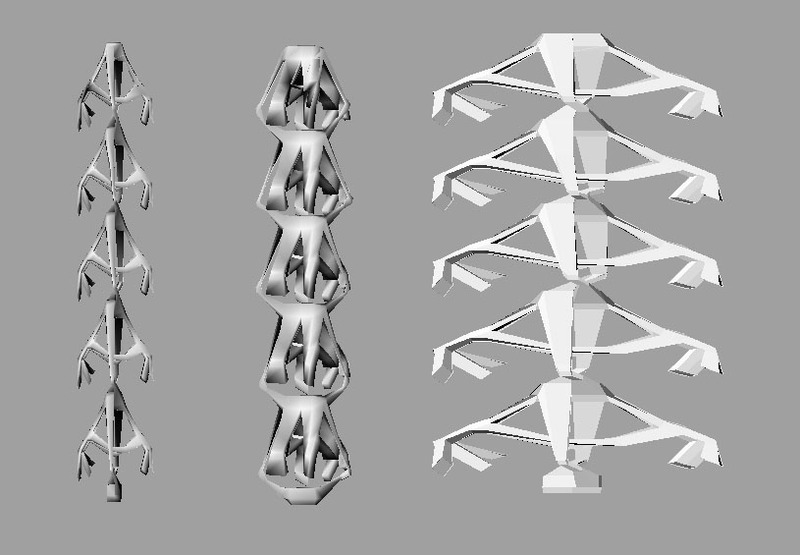 Below is my final obelisk in perspective render view…. The second part of the brief called for the basic geometry of the obelisk to be reworked into the design of a piece of jewellery. 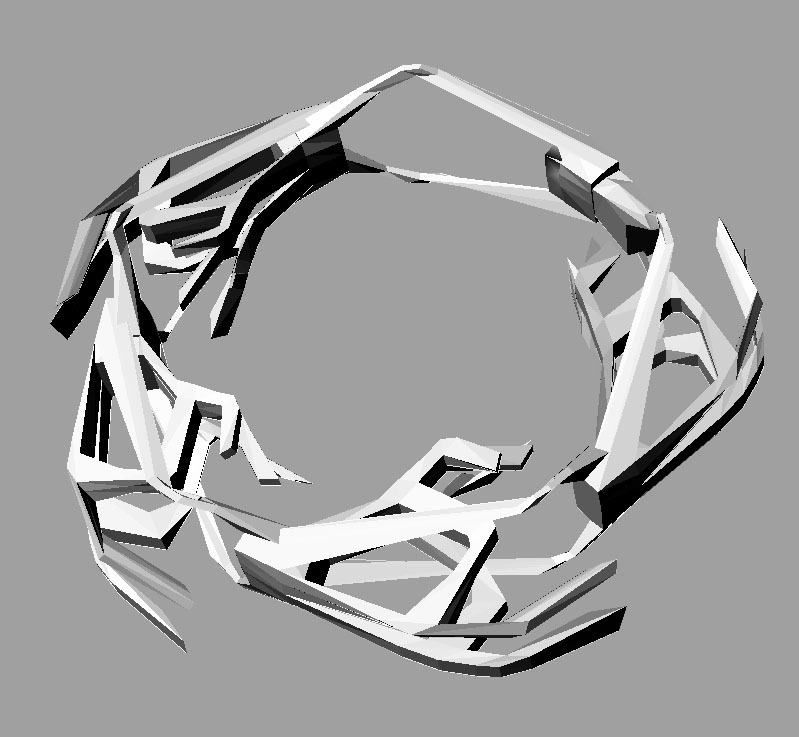 Using the ‘flow’ command I flowed my shape along a circle curve. I then proceeded to play around with the scale and size of the piece of jewellery. Originally I was hoping to make a ring, but because my design is quite intricate and fine, I opted to make a slightly larger size (maybe large pendant size) as this would be capable of being produced (and not break) when being produced. … now just have to bring into magic and check for surface faults !!! !